“Lumi” is Italian for small lights. Under a ceiling of many small lights on a wharf in Pyrmont you will find, in my opinion, one of Sydney’s best restaurants right now. The setting at Lumi Bar and Dining is casual and relaxed with full length glass sliding doors providing ultimate waterfront views. The décor is modern and simple with timber tables and subtle touches of lime green and purple in the furniture. The large kitchen at the back of the restaurant is prominent and full of enthusiastic young chefs including Head Chef and Owner Federico Zannellato who has opened Lumi with his Sommelier wife Michela. The service is relaxed yet professional. The well-groomed kitchen staff often bring the food to the table and explain the dish to the customers. The food is a fusion of modern Italian and Japanese and it’s exquisite! Lumi offers a 5 course and an 8 course dinner degustation menu based on seasons and market availability. 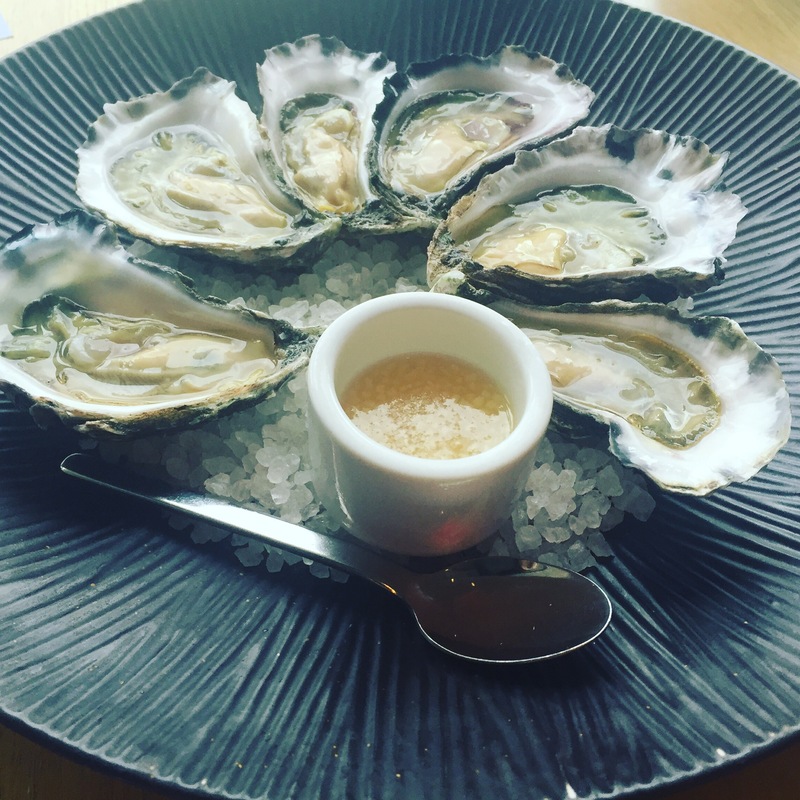 We decide on the 8 course degustation ($115 per person) and ordered add half a dozen oysters to start with ($26). Lumi has a fantastic cocktail menu. 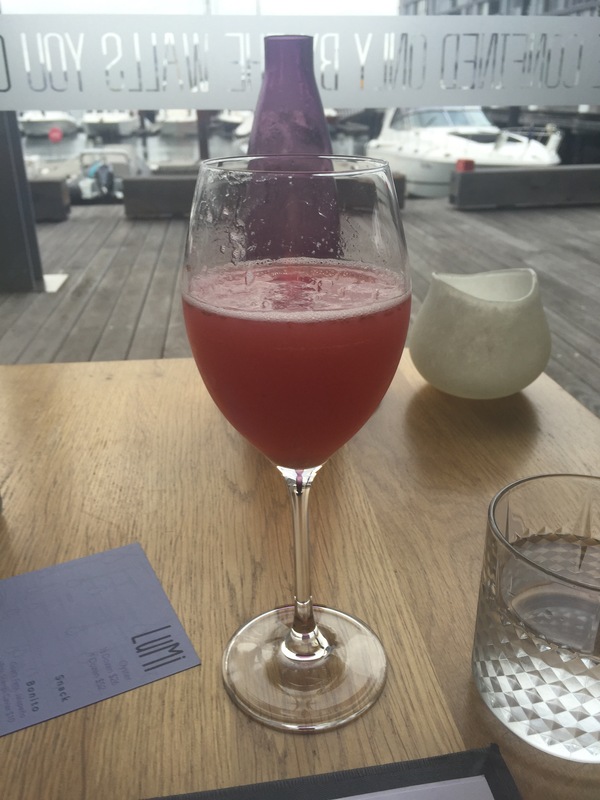 The Lumi Bellini, a modern take on the traditional Italian cocktail, mixes raspberry and lychee puree with prosecco creating a fruity and refreshing start to the evening. 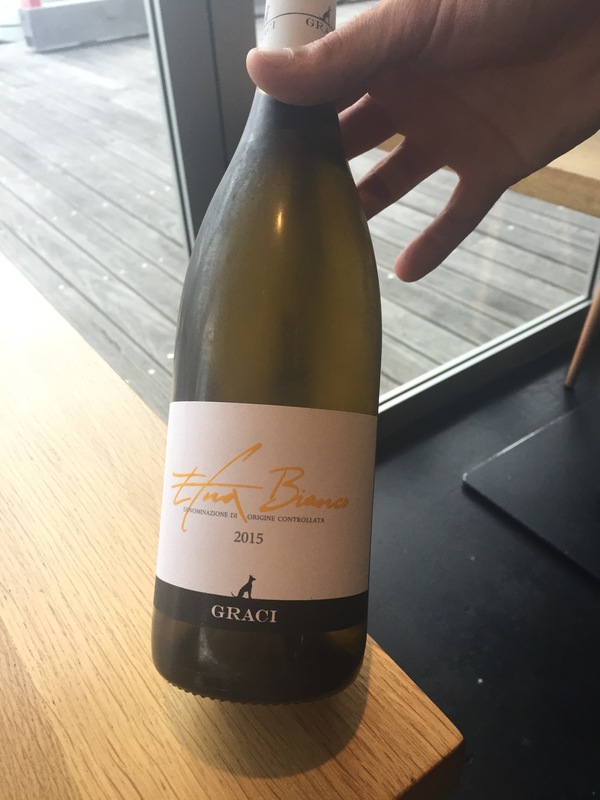 Matching wines can be added to the degustation for $80 per person- we opted to share a bottle of 2015 Etna Bianco Graci from Sicilia, Italy ($86). The Caricante blend is mineral with a lovely crisp finish. The Lumi degustation kicks off with a few snacks including some delicious bite sized frozen yoghurt and parmesan cheese crumbles and beautifully presented mushroom and cheese tarts. The avocado, salmon roe and dashi with wakame granita was served next. 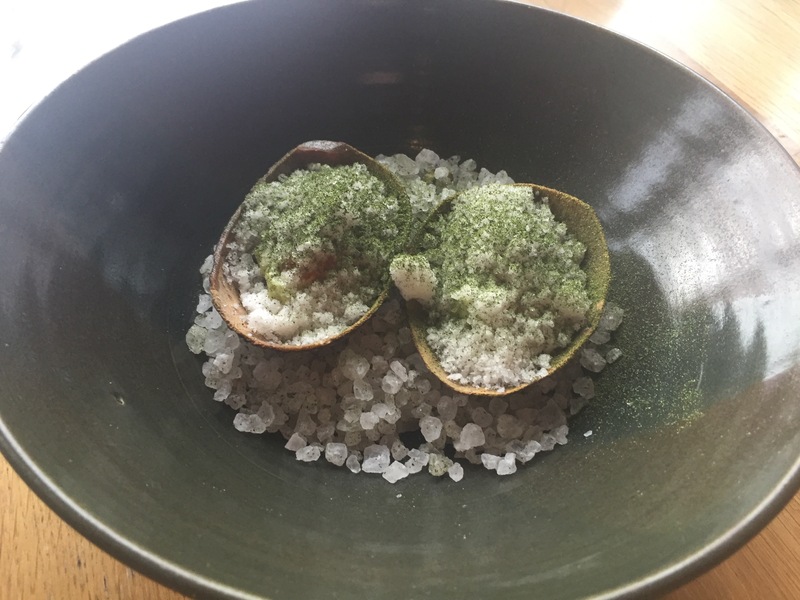 It was fresh with much subtler flavours than the other two snacks and was served in frozen avocado shells. 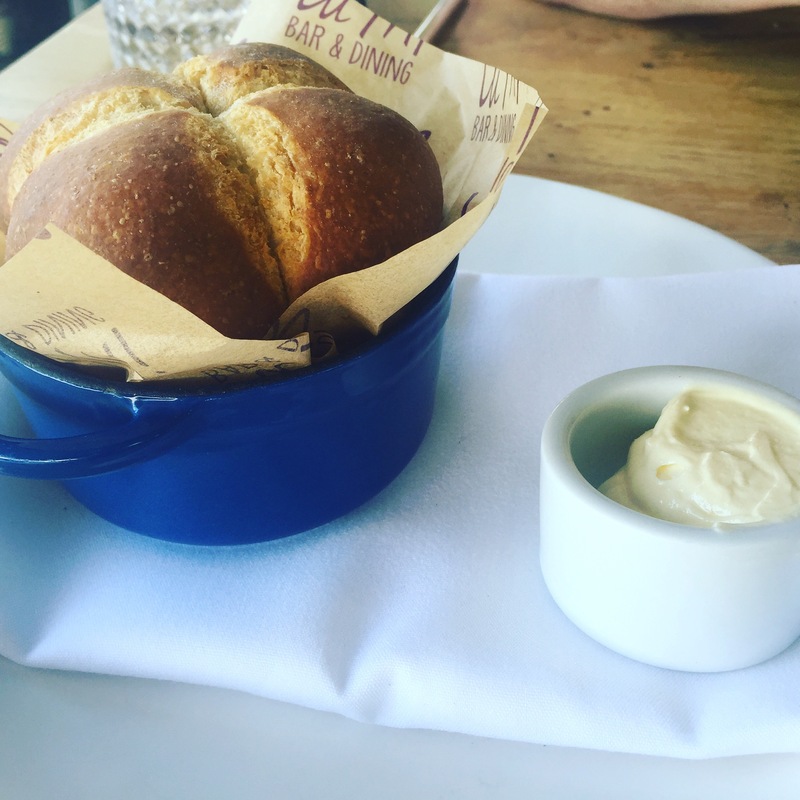 The house made rye and spelt sourdough brioche is served warm with a burnt butter mascarpone. 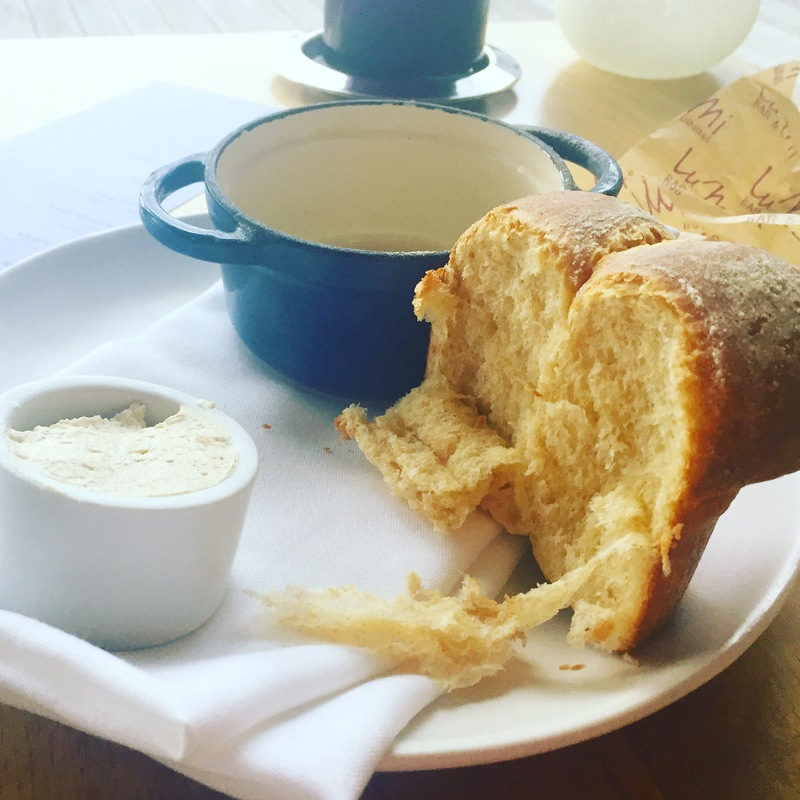 The bread is soft and fluffy and the burnt mascarpone butter is extraordinary. The fresh bonito is served with goat’s fetta, jalapeno and for an extra $10 scampi caviar too! 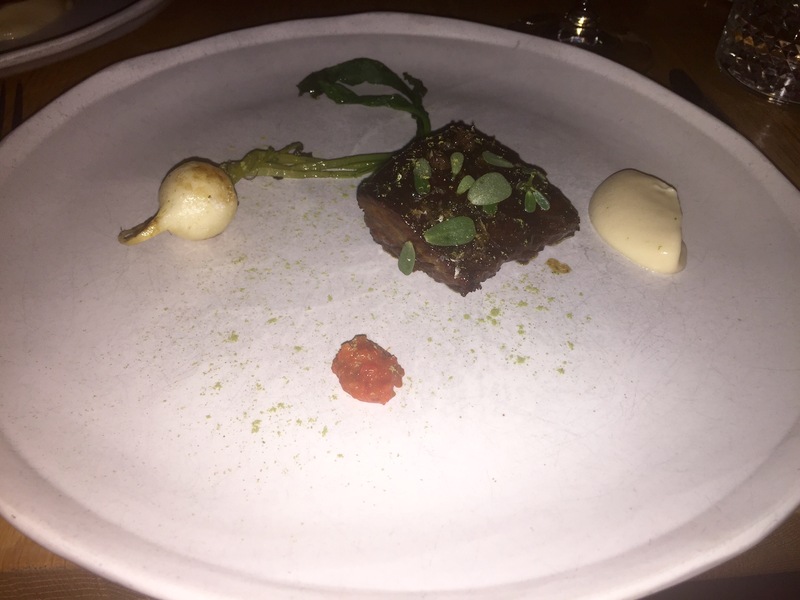 The bonito dish is plated perfectly with the creamy goat’s fetta sitting on the bottom of the plate. 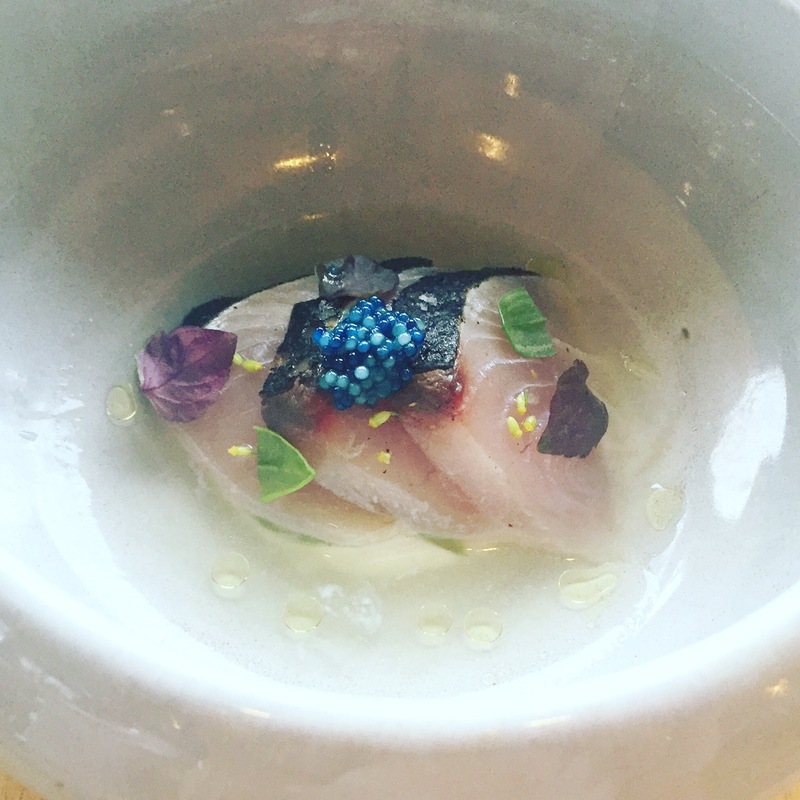 The delicate scampi caviar on top of the bonito adds a burst of flavour and a stunning bright blue colour to the dish. 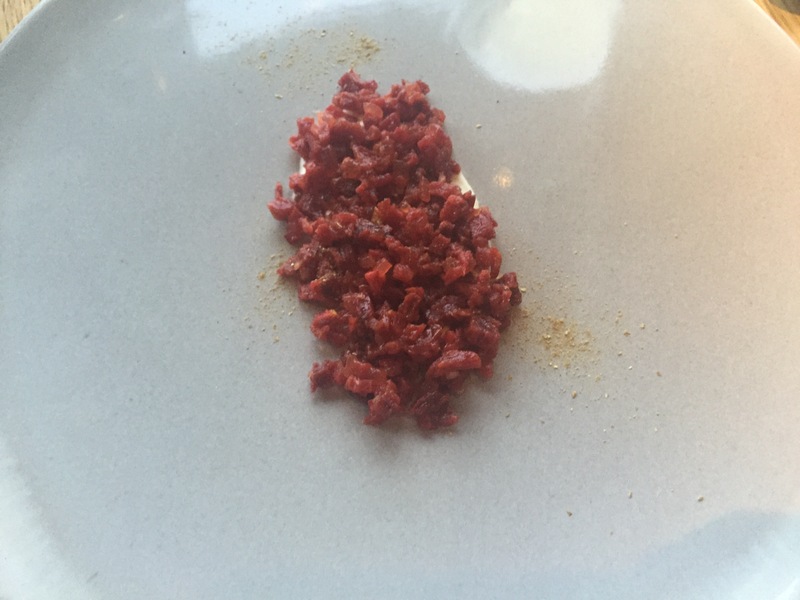 The red ox heart tomato tartare looks vibrant on the plate. The zesty rich tomato flavour of the meat is complimented perfectly by the citrus Japanese sansho pepper seasoning. Next up is the delicately plated agnoliotti pasta. In each small pasta parcel is a liquid burst of bold porcini mushroom flavour. 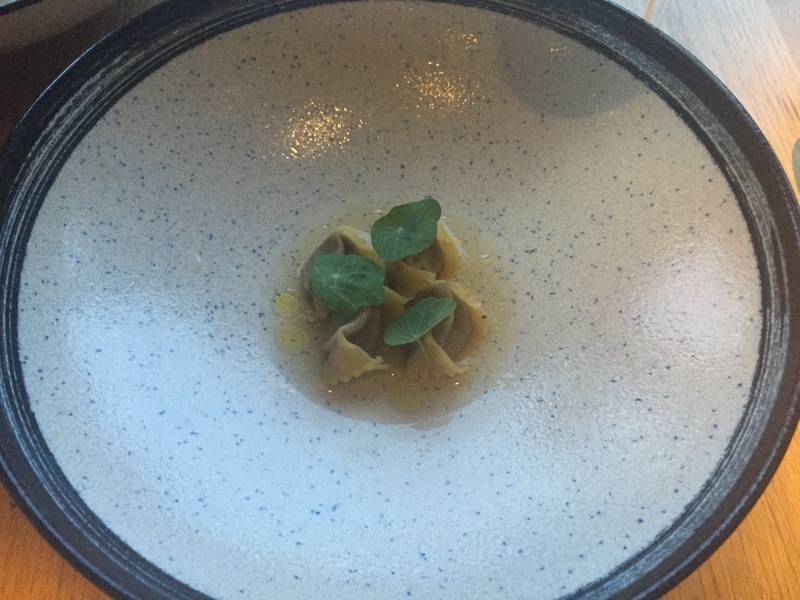 With a spoonful of the rye dashi stock this is a comfort dish that does both Italian and Japanese cuisines proud. When the perfectly twirled taglioni pasta is placed in front of us we are greeted with beautiful aromas. 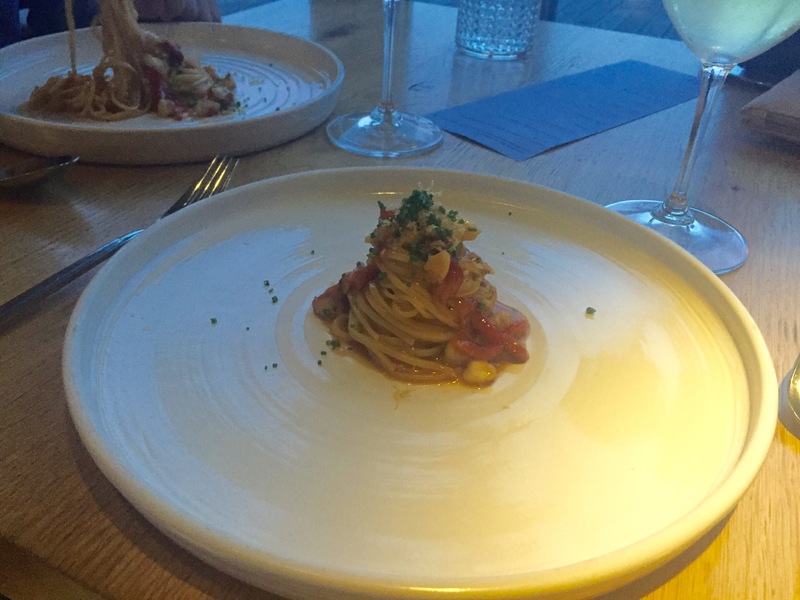 The taglioni has been cooked aldante with scorpion fish, capsicum and chives. The sticky beef rib follows the pastas. The meat has been well marinated and is served with cauliflower puree and a delicious chilli kosho paste. 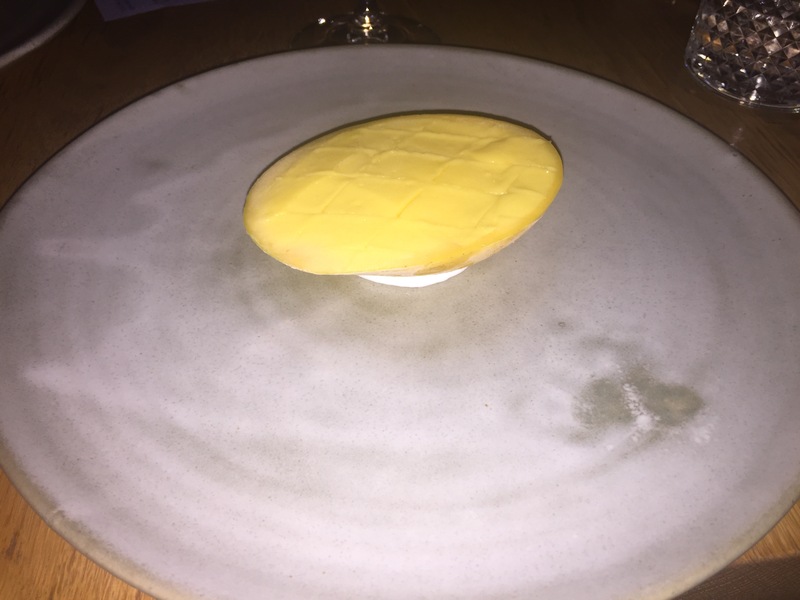 The first dessert on the menu says mango and from first glance that’s exactly what it looks like – half of a mango on a plate. 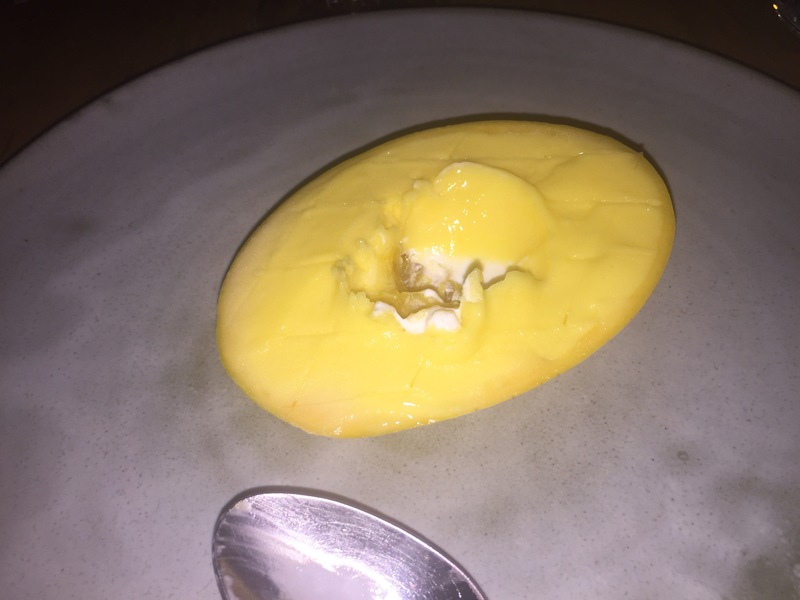 Slicing into the mango cheek of sorbet we discover a lemongrass ice cream underneath. 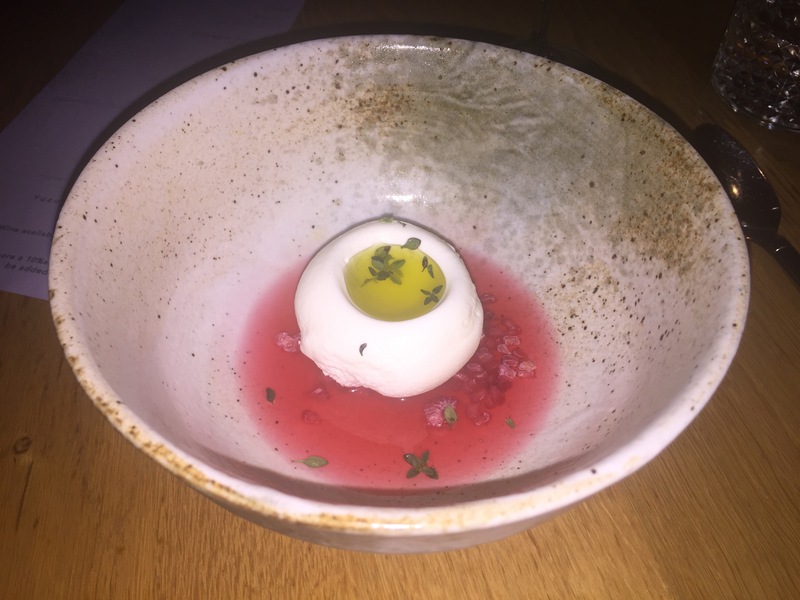 This dessert is refreshing and creamy and the lemongrass and finger lime flavours add a lovely tanginess. 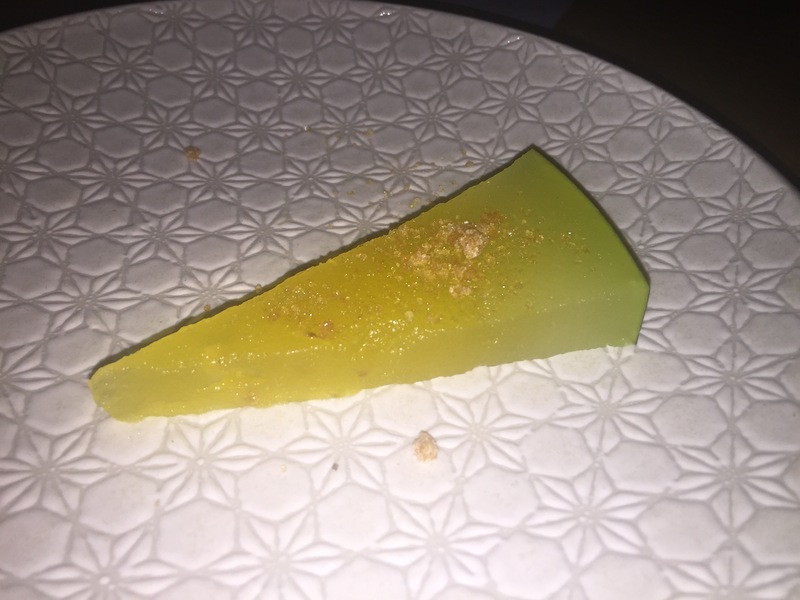 Lumi’s Douglas Fir dessert is a standout. The sweet, creamy ice cream is complimented with fresh flavours of raspberry and rhubarb and the subtleness of extra virgin olive oil and the thyme garnish. Yuzushu is a Japanese liquor and in the last dish we discover it goes extremely well when absorbed in watermelon. A lovely way to finish an 8 course degustation. 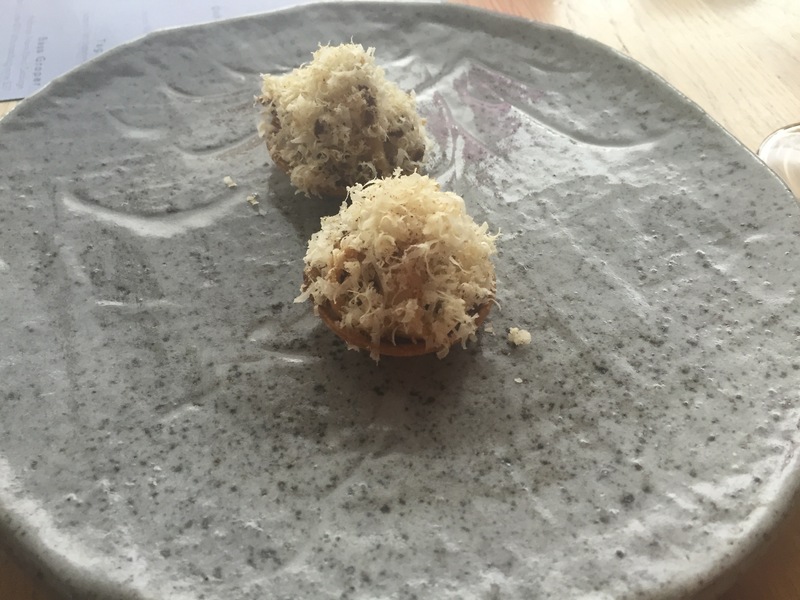 Standout dishes – For mains: the bonito served with goat’s fetta, jalapeno and scampi caviar and the agnoliotti with porcini mushroom and rye dashi. For desserts: Douglas Fir with raspberry and rhubarb. 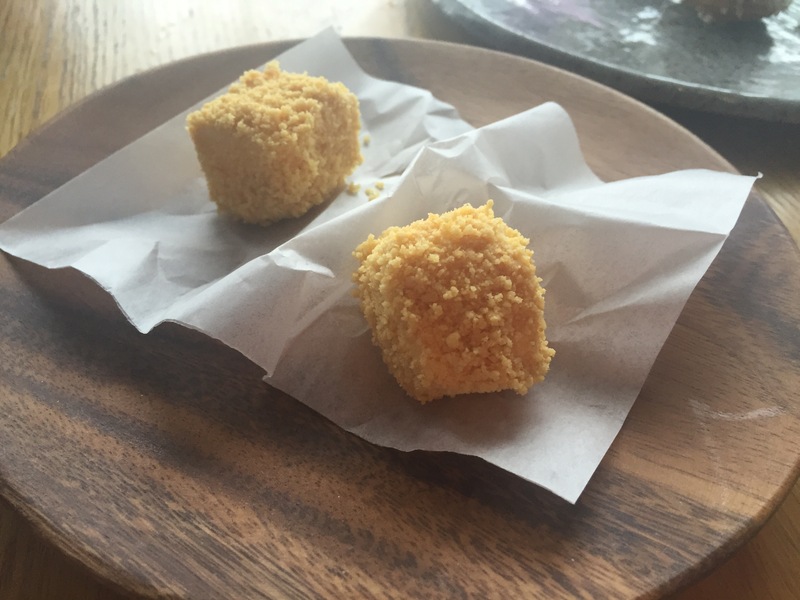 Positives – Japanese Italian fusion done right. Sophisticated and creative dishes using the best seasonal produce and served in a casual setting with professional service and stunning harbour views.